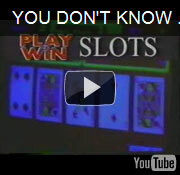 In the case when the Player forgets, misplaces or loses his personal account information, or in case when the Player loses, discloses or gives away either the number of his or her account or his or her password, the Casino bears no responsibility for the actions of the Player and will not be responsible for refunding his or her accounts. The casino will also not be liable for claims concerning the accounts of such Players. It is the absolute Player's obligation not to let some other person (especially the person that is under the age of majority according to the legislation of the country of Player's residence) to use the account of the Player or to get an access to the Casino games, possibility to make wagers or receive any prizes or winnings. If the Player would like to play for the real money, the Casino as well as its designated agents has the right to check the creditworthiness of the Player. It is also possible for the casino to make some requests to the third parties in order to get the information about the deposits which the Player could make in the Casino. In the case of use the credit card transaction, there may be a fee in the amount verifying from 1% to 3% that the Player should pay. The credit card company of the Player may also apply some additional costs. The only acceptable way of placing the wagers in the casino is the next - to place the wager the Player is only allowed to use the user interface being provided at the Casino's web site or with the help of the client's software. The use of any other ways of wagering (such as using of the robot player) is strictly forbidden. If the use of not approved client's software, the Casino has the right to cancel the account of such a Player, to make all the wagers of this Player invalid immediately. Those Players who are trying to use a few browsers or try to manipulate or obtain the information regarding the software of the casino, will loose all their winnings and their accounts will be invalidated. If the Player receives some credits to his or her account because of any kind of error (because of the technical malfunction, human error, payout miscalculation or any other error) he is responsible for making the notification to the Casino with the information about error without any delay. In the case if the account has been credited because of any kind of error, the Player would not receive his winnings, they would not be paid out. If the Player did not notify the Company about the error, all the winnings achieved by the Player with the use of his account, will be invalid and returned to the Casino.